That’s right, once this patch goes live, players will no longer be able to purchase loot chests with real-money currency, a.k.a. Gems. Chests can still be obtained in-game. You can read about that, and the rest of the patch notes, on the HotS site. There’s no reasoning given for the change, but I can think of one possibility. Often, when a game goes into “maintenance mode,” real-money purchases are limited or disabled entirely. 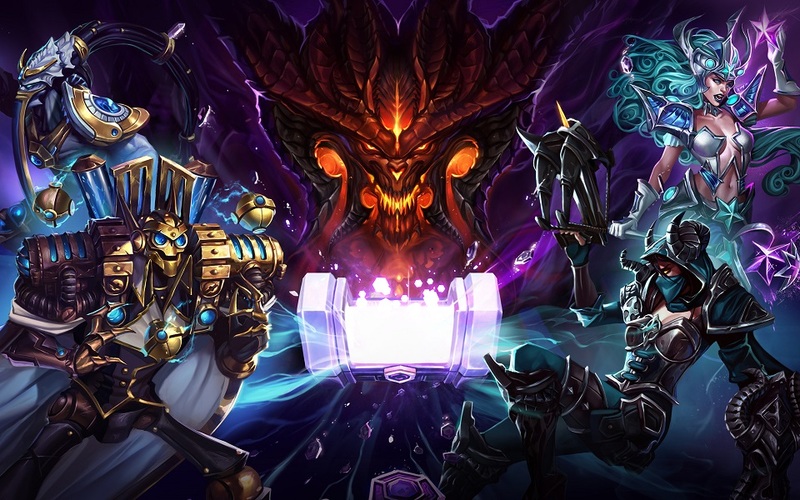 Considering Blizzard’s recent de-emphasis of HotS, it wouldn’t be surprising to find out this is the first step toward maintenance mode — or potentially something worse. On the other hand, actual development hasn’t stopped, with a new hero being teased recently, but it’s equally possible that it was in development before the recent troubles and will at least be seen through to completion. Whatever the case, I wouldn’t cheer Blizzard’s sudden generosity just yet. They changed how loot boxes work. Before the only way to obtain a skin you wanted was to buy loot boxes and hope you luck out. Now you can directly buy the skins you want for gems and so purchasing loot boxes for real money doesn’t make sense anymore and the sales figures would have shown this hence the news. For those who don’t buy gems they can still earn lootboxes in game from levelling up.